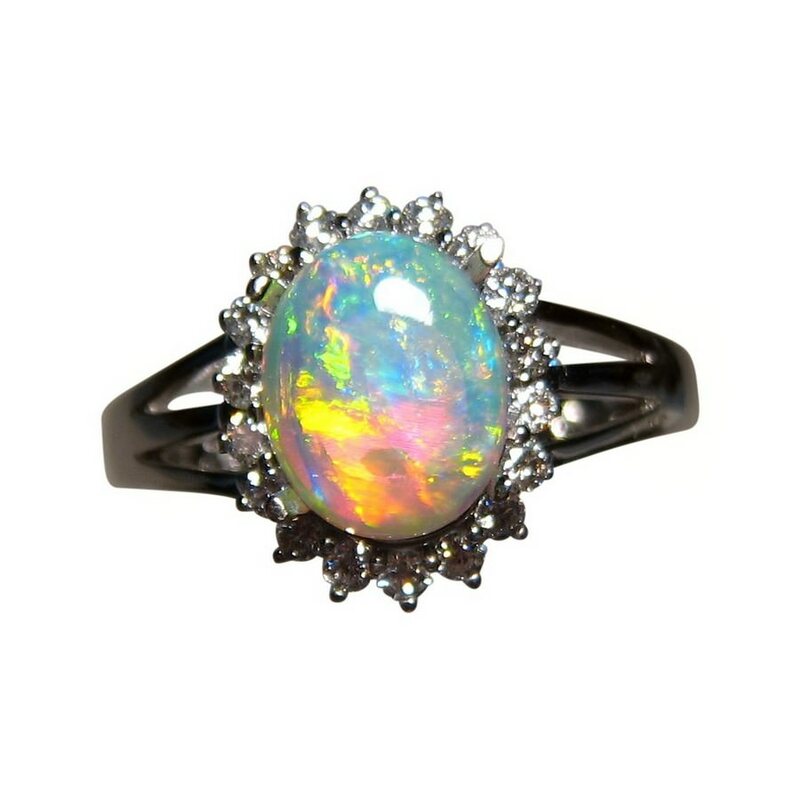 A beautiful Opal ring for women with a 1 carat Crystal Opal that is bright and colorful. In stock and ready to ship. 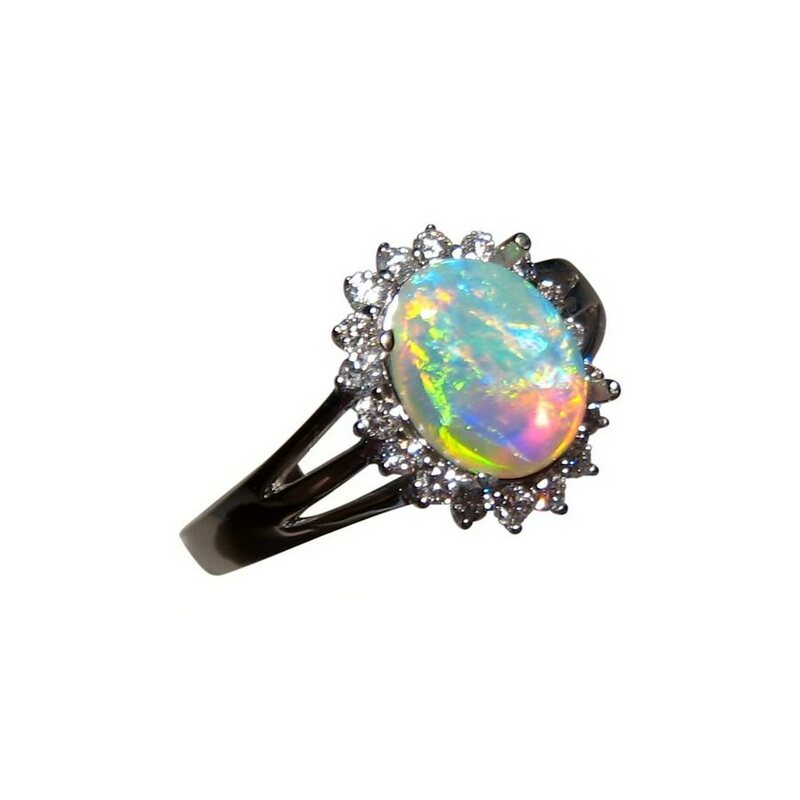 A Crystal Opal ring that is elegant with an oval Coober Pedy Opal flashing bright colors of Yellow and Orange with some Blue. 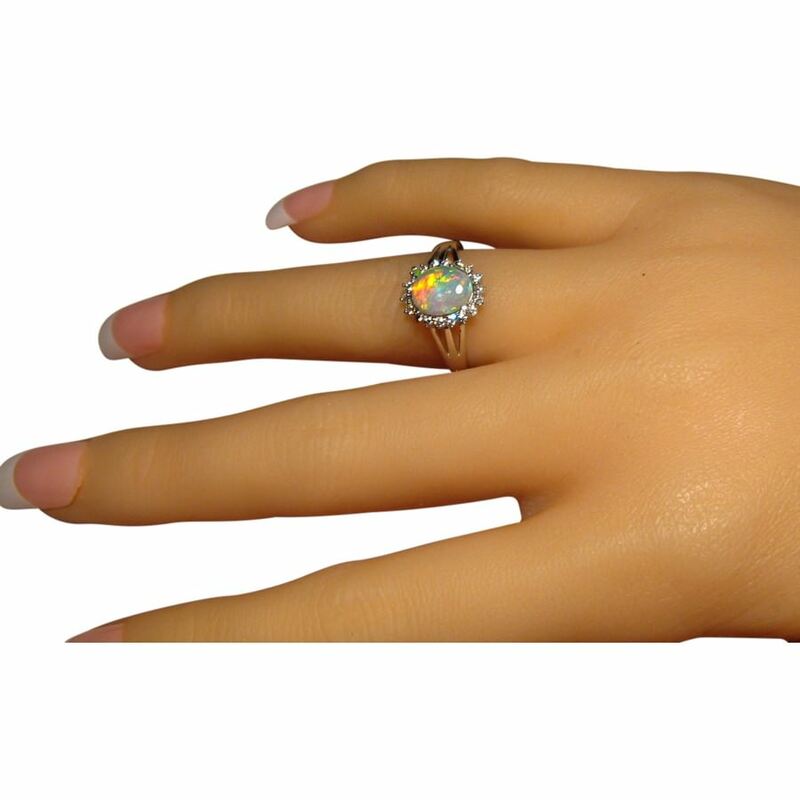 The 1 carat Opal is surrounded by a halo of eighteen 1.5 mm diamonds of good quality which adds sparkle and size to the ring that could be considered for an engagement ring or as a dress ring. 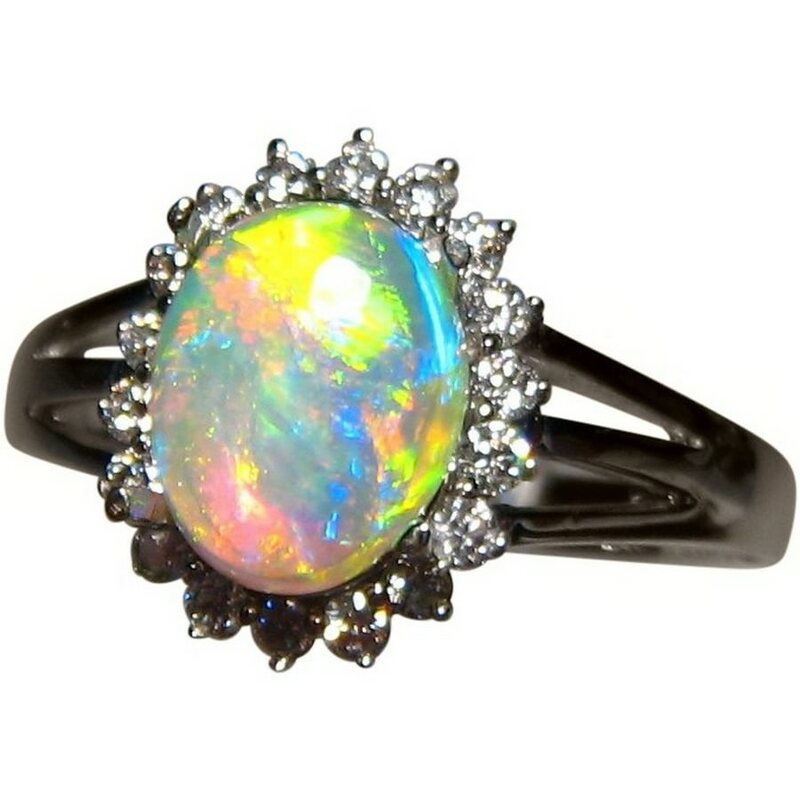 Shown in 14k White Gold in a size 7 ½ , it is ready to ship now or will take about 21 days for any other ring size or Gold color. 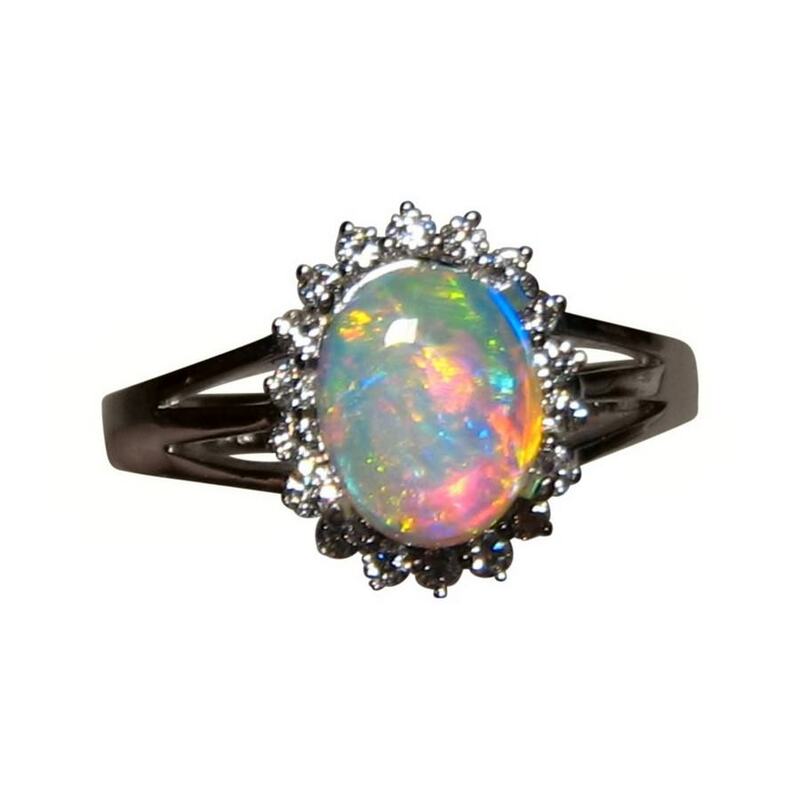 If this style of Opal ring is not for you but you love the Opal, the option to have it mounted into a different style of setting is available as the Opal will be secured after purchase. 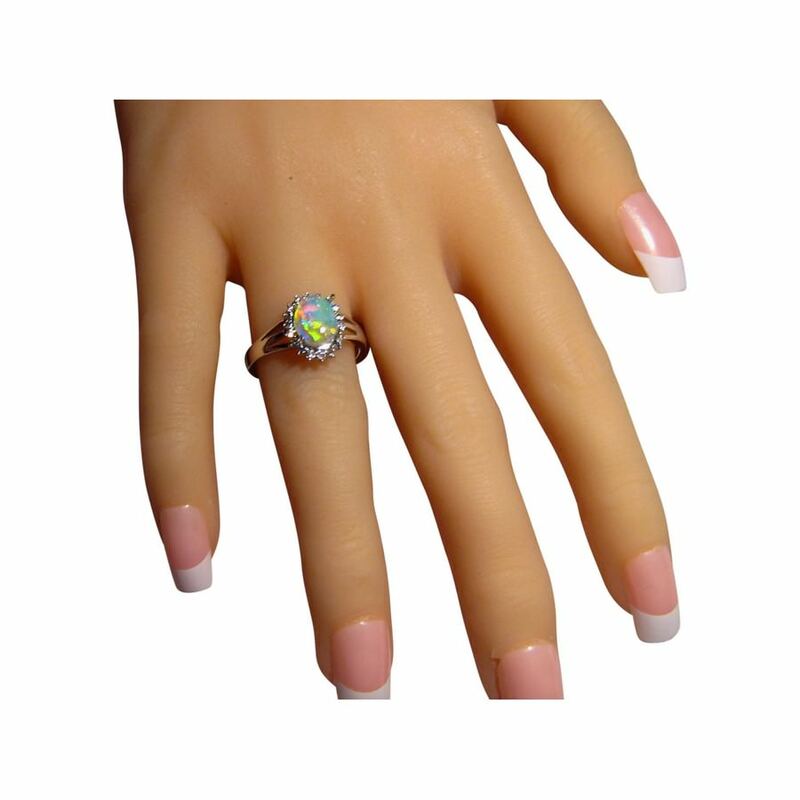 Contact through this product with your preference for assistance.